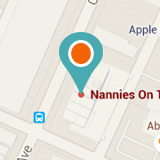 You can e-mail Dr. Herlihy to schedule a personality assessment for your Nanny at info@nanniesothego.net! Kylie is the Childcare Director and oversees all daily activities. Her organizational skills are outstanding which allow her to work closely with the families and Nannies to find the perfect match. Clear communication comes naturally to Kylie which keeps the corporate partners as well as Nannies and Families informed and up to date. Kylie is a graduate of the University of North Texas and lives with her husband, Sean, in the Dallas – Fort Worth area. Feel free to contact Kylie anytime! Bethany was raised in California and moved to Texas. She is currently pursuing a Political Science degree with a concentration in pre-law. She loves working with children and has been a Nanny for over three years while paying her way through college. She has incredible drive and energy which allows her to deftly coordinate schedules and fulfill requests from our corporate clients as well as our families. Feel free to contact Bethany anytime!